At the heart of every powerful desktop computer is a motherboard with a compatible CPU. If you’re building a computer, you can choose between Intel’s mainstream LGA-1151 socket and AMD’s AM4 socket, and we know which motherboard and CPU combos are best for each. If there’s one component you definitely don’t want to cheap out on, it’s the motherboard. 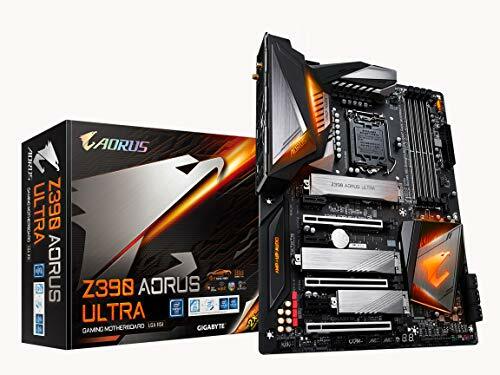 The GIGABYTE Z390 AORUS Ultra works with all LGA-1151-based Intel CPUs, providing a sweet spot in performance and value. The motherboard features an advanced thermal design that helps to keep its temperature low during prolonged gaming sessions, and the onboard LED lighting system allows you to personalize the look of your computer. This fantastic LGA-1151 motherboard comes with Intel’s next-gen wireless solution, which enables gigabit wireless performance and provides the stability you need for online gaming and high-definition video streaming. The ASUS ROG Strix X470-F Gaming is well-equipped to unlock next-generation experiences with AM4-based CPUs from AMD. This high-end motherboard comes with a pre-mounted I/O shield, which makes it easy to install, and it’s finished in matte black, giving it that stealthy look all gamers crave these days. ASUS motherboards are known for their high-quality components, and the ASUS ROG Strix X470-F Gaming is no exception. Its capacitors are able to withstand temperatures in a range that exceeds the industry standard by 10 percent, which significantly prolongs their lifespan. Thanks to Aura Sync, you can personalize the look of your computer and take full advantage of the built-in RGB LEDs as well as strips connected to the onboard RGB header. You can even synchronize light effects with Philips Hue lightbulbs to extend light effects beyond your rig. The AMD Ryzen 3 2200G is an outstanding budget CPU with four cores and a built-in graphics chip. The processor is aimed primarily at casual computer users who want to get by without buying a dedicated graphics cards, and it also works great for eSports gamers. Thanks to its excellent overclocking potential, you can expect playable performance in games like Fortnite and Overwatch at 1920 x 1080. Apart from budget gaming rigs, the AMD Ryzen 3 2200G is great for HTPCs because it doesn’t get too hot under normal workloads, yet it delivers sufficient performance for all multimedia applications. 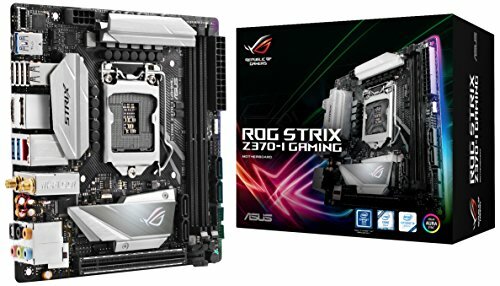 You can pair it with a mini-ITX AM4 motherboard such as the ASUS ROG Strix X470-I Gaming, which offers all the bells and whistles of its larger siblings while being significantly smaller. 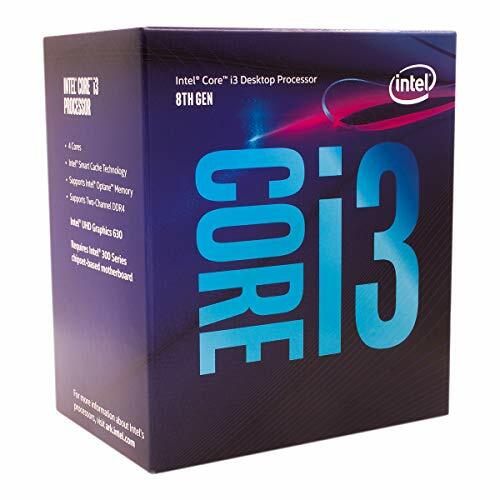 The Intel Core i3-8100 is a balanced LGA-1151 CPU that offers a healthy mix of gaming and application performance, punching above its price class during most tests and real-world applications. Even though the CPU doesn’t support Hyper-Threading, it handles threaded workloads with ease, and it has an integrated graphics card, the Intel HD Graphics 630, to allow for some light gaming. Unlike the AMD Ryzen 3 2200G, the Intel Core i3-8100 isn’t open to overclocking, but it can be boosted up to 3.6 GHz. 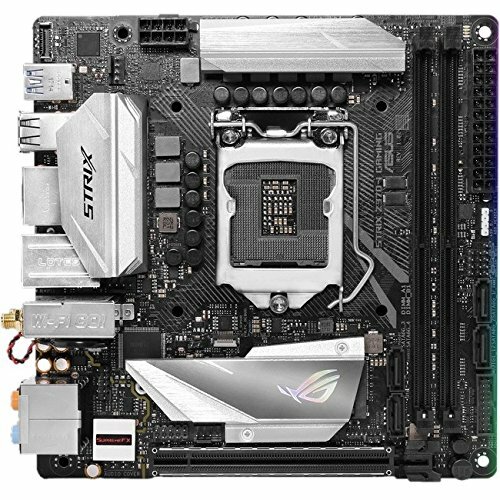 A processor like this works great with a small form-factor motherboard like the Asus ROG Strix Z370-I Gaming or a budget motherboard like the MSI Z370 Gaming PLUS. 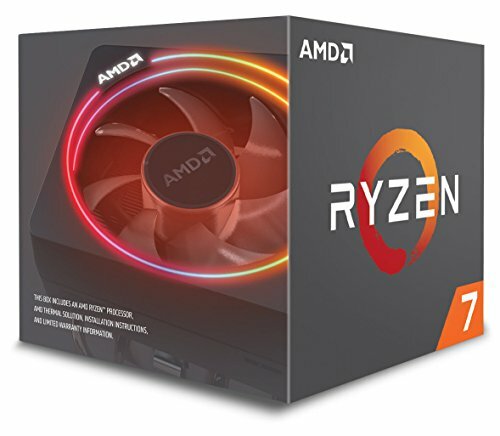 The AMD Ryzen 5 2600X is a competitively priced AM4 CPU that offers fantastic multi-threaded performance and comes with a capable cooler. The CPU is unlocked for overclocking, which means that you can boost its performance further, provided you have a capable motherboard that can handle overclocking. The gaming performance of the AMD Ryzen 5 2600X puts it roughly in the same league as the Intel Core i9-7900X CPU, which costs significantly more. Of course, the situation is different when it comes to tasks such as video or audio encoding, but the AMD Ryzen 5 2600X does well even there. 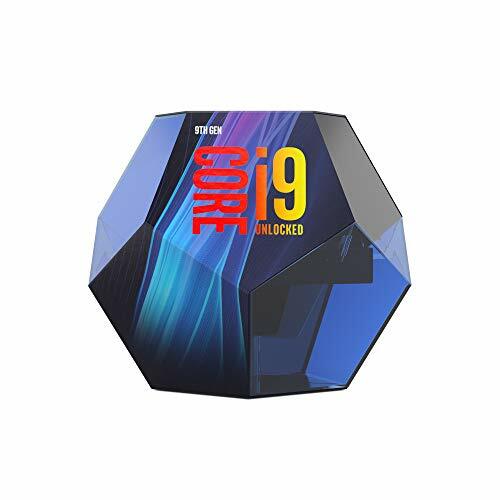 The Core i9-9900K is the fastest gaming CPU sold by Intel at the moment. With 8 physical cores and 16 threads operating at up to 5 GHz, it shouldn’t come as a surprise that the CPU has no problem whatsoever handling just about anything you throw at it. It doesn’t make much sense to buy a beastly CPU like the Intel Core i9-9900K for gaming alone, but it can be a boon to any designer, audio engineer, video editor, or other creative who routinely works with demanding software applications that can leverage the massive multi-threaded performance of this flagship CPU. If you want to experience what the AM4 platform is capable of, the AMD Ryzen 7 2700X is a great choice. This 8-core/16-thread CPU is a huge step forward for AMD, featuring improved boost algorithms and reduced memory latency to support a wide range of workloads. It ships with the AMD Wraith Prism cooler, which is in a league of its own compared with other stock coolers. Not only does the cooler feature an RGB LED light ring and transparent fan blades but its fantastic cooling performance makes it suitable even for fairly heavy overclocking.